Today we have one half of the R&R Art Group, Ryoko Demon! 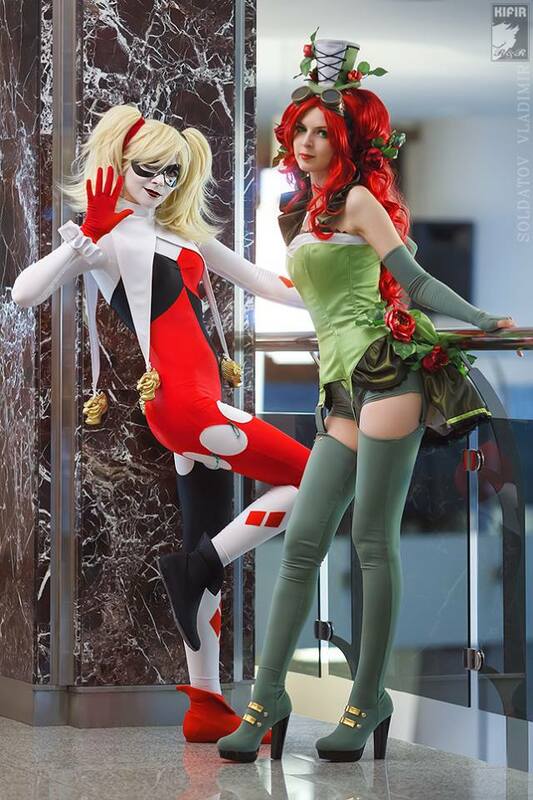 Together these two cosplayers seem to make some of the best costumes that highlight their talent. If you love combination cosplays you will love R&R Art Group. Andy: What was the first convention you went to? What was the most memorable part of that convention? Ryoko: That was a small cosplay-event in our town in 2002, which eventually grew up into a quite big festival of pop-culture. The most memorable was that already at that time we performed as a team. It was our first step on a long and exciting way of creativity for our team R&R. Andy: What was your first influence that made you want to start cosplaying? R: Of course it was my favourite character Ryoko from anime «Tenchi Muyo!». When I made a cosplay of her for the first time I had no experience and it could hardly be called a cosplay. But I didn’t leave that dream behind and I already have few costumes of Ryoko and I’m going to make even more. This character really inspires me. Andy: Your are one half of R&R art group, how did that get started? Tell me about why you two chose to do a Jessie and James cosplay? R: In 2001 we started a team for a performance. When I first met Rei in a club for anime and manga fans I immediately asked her to make one of the characters and join the performance. She agreed and since that time we have been inseparable. Over time we met many interesting people and now our team is one huge family. As our team name is “R&R” sometimes we made jokes about a cosplay of Jessie and James, because they’re calling themselves “Team R”. You may laugh at it but one day we decided why not? And in fact this pair turns out to be really close to us. In spite of failures they never give up and made new plans. And we are the same. Our Pokemon project turned out to be really big with 22 people involved. We had some difficulties, but in the end we had really great experience. Andy: Speaking of amazing, your Harley Quinn is awesome, Why did you choose to cosplay as Harley Quinn? Why did you chose to cosplay that version of her costume? R: Thanks. I like Harley Quinn’s themes, so Harley just can’t leave me cold. At first I wanted to make an Ame-Comi figure version costume, but suddenly made a classic one, then Christmas costume, and now I’m going to make another. Her costumes are very comfortable and her personality allows to clown around and behave silly, and that means a lot of fun; last but not least is her crazy love to Joker, it’s another of my favorite parts about Harley. Andy: If Harley where going to be in the new Batman/Superman movie, who would play her? Andy: You did a Xmen: Evolution Rogue a while back. What is it about Rogue particularly that drew you to her character? Why did you pick that particular version of Rogue? I feel as if Rouge’s powers make her even more of an outsider then most of the X-men, whats your thoughts on that? R: The X-Men Universe is my favourite among all the comic worlds, I also love all the movies. In Rogue I found something especially close to me, a strong character with personal tragedy. In the X-Men: Evolution version she’s a teenager, but has this great power, which makes people want to use her, or keeps them from getting close to her. That’s why, being vulnerable from the inside, Rogue often behaves aggressively, detached and avoids getting close to people. I think, each creative person has endured such periods in his or her life and have faced being misunderstood. 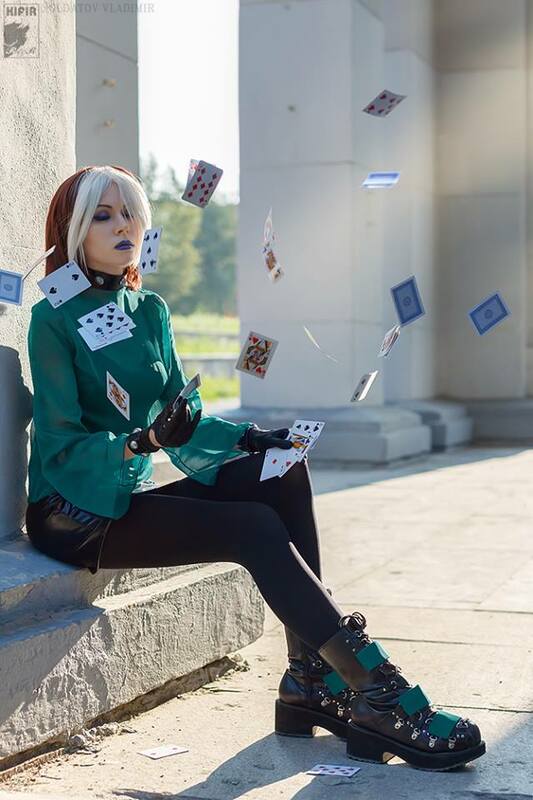 At first I liked Rogue’s appearance, but then I understood that this character is really close to my heart and I feel comfortable while cosplaying her. Of course, I was also touched by the relationship between Rogue and Gambit. In my opinion it’s the most remarkable couple in the whole X-Men Universe. Andy: If you could only say one sentence of advice to a beginning cosplayer what would it be? R: To do wonders you should believe in them, so start believing! R: This year we attended Russian conventions in different cities, we also visited TNT GT 7 in Mexico. Next year we hope visit more foreign events. I would looooove to know where did she buy Harley’s costume?!?! 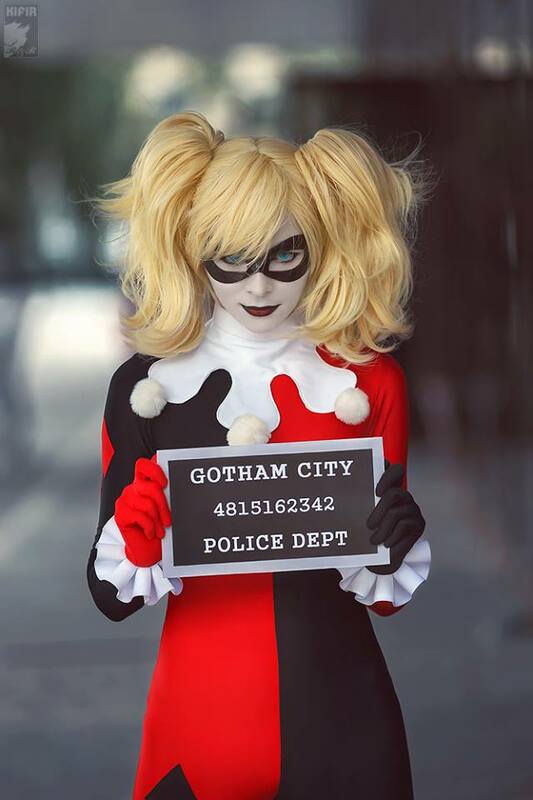 I want to cosplay Harley, just like she did. Please! tell me.the process to cosplay Harley Quinn!! !